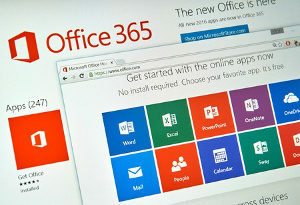 Microsoft’s cloud-based service Office 365 provides users with anytime access to the popular Office suite of applications, adding significant value for small businesses. This blog post discusses 6 important benefits that your small company should consider whether they are a current or potential user of Office 365. With Office 365 Business plans (Business, and Business Premium) your company will enjoy the benefits and features of the latest versions of Office applications. Your company will not have to worry about updates, upgrades, patches, or new licenses as your subscription costs will cover these expenses. Having the most up-to-date tools will give your business the confidence to get things done more effectively and efficiently. Since Office 365 is cloud-based, it enables users to access all their business applications and work files anytime and anywhere using any internet-accessible device. In addition, Office 365 makes it easy for your employees to use the OneDrive App to link their OneDrive Business and personal accounts and easily switch between them. Office 365 makes it possible for multiple team members to co-author the same document simultaneously. This real-time document editing and formatting capability enhances the collaboration process for small businesses. The days of emailing huge files and worrying about version control are now a problem of the past. In addition, Office 365 also makes it easier to share any deliverable documents with clients at all stages of the production process. Team members can also take advantage of the Skype for Business application to chat with each other via audio or visual conversations throughout all stages of project planning and implementation. Office 365 offers powerful applications that will improve your company’s project management efforts. Using the Microsoft Planner feature your team can work together to develop project plans, assign tasks, and organize a project timetable. The Microsoft Tasks application makes it possible for your team to combine all their task lists into one central list in Outlook. This application makes it easier to track the progress of tasks and manage the ownership of current and new tasks. 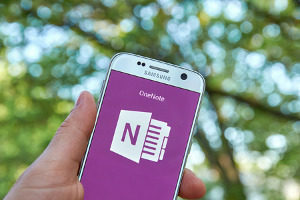 Office 365 users can also write to do lists using OneNote and convert them to tasks with deadlines and reminders in their Outlook calendars. The cloud presentation software, Sway (an alternative to PowerPoint), will automatically suggest images to insert into your business presentations based on the text and theme. This application is integrated with Bing and will update as you edit your presentation text. Office 365 also offers the latest Excel features including better charts, graphs, and pivot tables and Flash Fill, which automatically reformats your data. The Quick Analysis feature provides a wide range of options on how best to present your information. There is also a new feature called Power Map, which enables the user to change rows of data into images, including geographic data that can be converted into a 3D map. Users can enhance their presentations in PowerPoint by taking advantage of a feature called PowerPoint Designer, which automatically gives options on how best to display selected graphics and images. They can also turn their computer’s mouse into a laser pointer to better highlight information during presentations. The same feature is available for iPads by holding the stylus down until the red laser-like dot appears on the screen. In addition, users have access to Morph, which simulates animation on your slides. 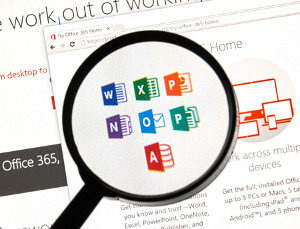 Office 365 users have access to the latest features on Outlook, which provides for a broad range of email capabilities. The Boomerang feature provides for comprehensive email management including reviewing and sending messages at different times, recipient reply notifications, and enhanced scheduling features through your Outlook calendar. Outlook also offers the Focused inbox feature, which automatically places what it determines are your most relevant emails into one folder and the rest into another folder. There is also a feature called Clutter, which automatically takes steps to de-clutter your inbox based on your set preferences. Other useful Outlook features include an ignore button, which allows you to avoid seeing reply all messages, encryption options, and an electronic signature app by DocuSign. Users can also now simply provide email links to files instead of attaching bulky documents. The sender can automatically grant editing permission to any recipients who click on these email links. Despite the valuable benefits of Office 365, it is important to note that some small businesses may find other cloud-based services such as Google Apps more appealing for their business. For example, younger, tech savvy companies often prefer using Google Apps, while more established companies usually prefer working with Office 365 because of their comfort level with Microsoft Office. 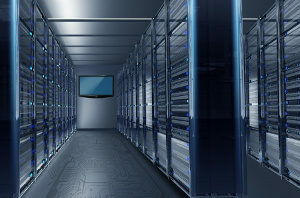 Some small businesses also may be better served through dedicated servers onsite. This solution or a hybrid option may work better for some company’s operations or at least for certain sensitive or specialized functions. As this post is not a comprehensive list of all Office 365 features, we would strongly recommend you consult with a trusted IT Support partner, like Network Depot, to get a better understanding of this powerful cloud-based service as well as other options. These IT experts will assist you in determining what solution works best to achieve your business objectives. For assistance with Office 365 and any other IT-related issues, please contact us here at Network Depot.